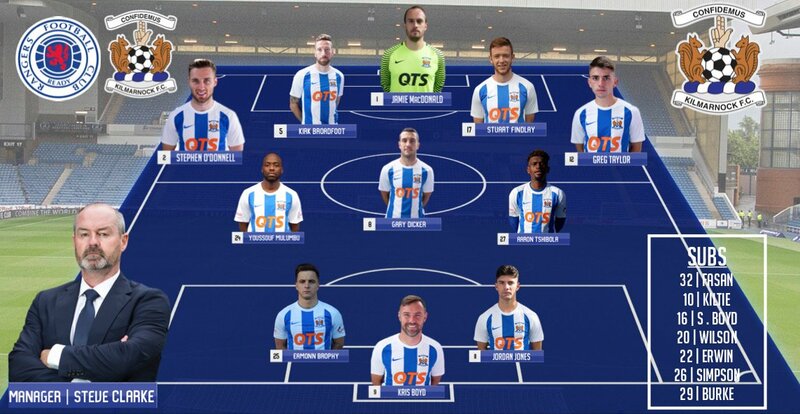 MacDonald, O'Donnell, Broadfoot, Findlay, Taylor, Mulumbu , (Wilson 80), Dicker, Tshbola , Brophy, (Erwin 63), Jones , K Boyd, (Kiltie 70). Subs Not Used: Fasan, S Boyd, Simpson, Burke. 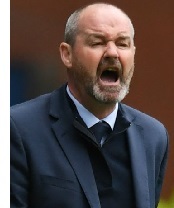 It seemed as though Kilmarnock were about to hold out for another Ibrox point, but the way they had allowed themselves to become penned back was their undoing. Goss swung in a looping cross to the back post and Bates stooped to head home. There was still time for more drama. 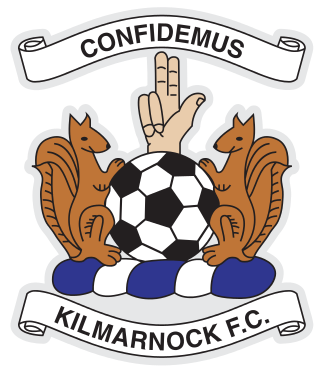 Killie sub Kiltie headed narrowly over the top in the final minute and ref Muir awarded a corner, even though Alnwick hadn’t seemed to get a touch. 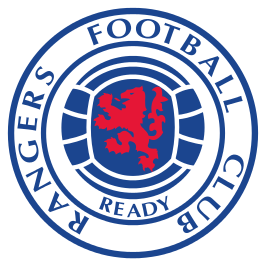 Killie, pushing forward too late, had the final flurry of activity and sub Iain Wilson fired over, then Morelos aimed a punch into the groin of Findlay – an incident ignored by ref Muir. 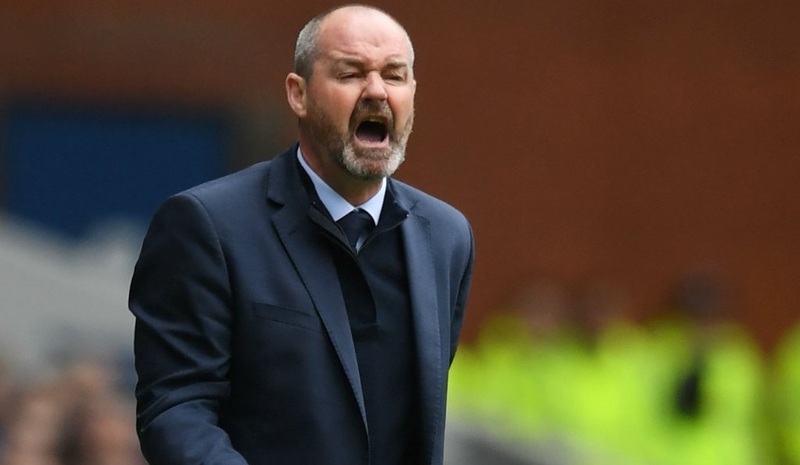 Steve Clarke: "I said post-split would be difficult for us, but we’ve played all the teams fighting for second place, Aberdeen, Hibs and now Rangers, and we’ve been competitive in every game. That was the third time we’ve been here this season. If you get the rub of the green, the bounce of the ball at the right times, better refereeing decisions, fairer referees, you have a chance. It was disappointing to lose a late free-kick but my players can be proud of themselves. We had a chance with Aaron Tshibola. It was a good second save from the goalkeeper because he spilled the first one. It was close and Aaron couldn’t get it up and over him. That was a big chance." 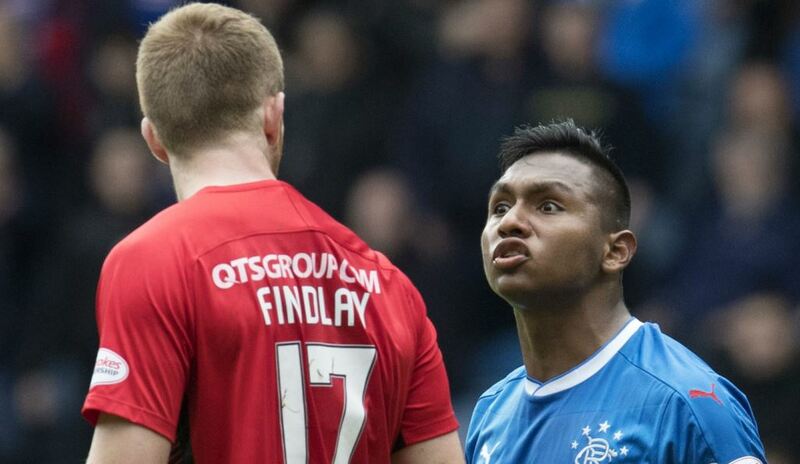 "There was an elbow on Stuart (by Alfredo Morelos) dealt with by a yellow card, which I'm not sure is the right card. There was also a punch to his groin later on. He gave a free-kick to us, so he saw the movement - but no second yellow. I don't want the lad Morleos to be cited or dealt with because it doesn't help us or this game. But it shows a little bit, for me, the level of the refereeing performance today. Referees have to be fair to both teams, that's all I ask for."